You may think of arthritis as a senior problem, but if you're a woman between 25 to 50 years old, you may be at risk of developing rheumatoid arthritis (RA). From causes of arthritis to how to deal with arthritis, find out why arthritis isn't just for the elderly. Rheumatoid arthritis affects approximately 1.3 million American adults, typically attacking women 25 to 50 years old more often than men. According to arthritis.org, RA, a systemic disease, affects approximately 1.3 million American adults, typically attacking women 25 to 50 years old more often than men. Caused by an abnormality in the body's immune system and affecting the entire body, rheumatoid arthritis results in inflammation in the lining of the joints and internal organs making even everyday tasks excruciating. "Unfortunately, there's not much you can do to prevent RA, so people suffering from this autoimmune disease will have good days and bad days," explains Elizabeth R. Lombardo, psychologist, physical therapist and author of A Happy You: Your Ultimate Prescription for Happiness . "However, you still have your parenting responsibilities, regardless of how you feel. The real approach to rheumatoid arthritis is learning how to live with RA and be the best parent you can be." 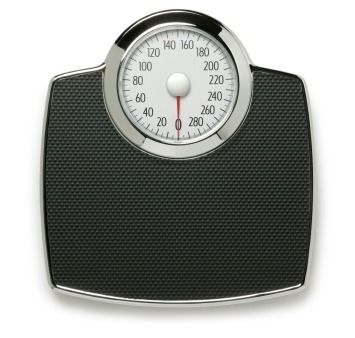 Work with your doctor to find your ideal weight. Obesity can cause more wear and tear on your joints, causing you more pain. Learn how to parent with the least amount of stress and guilt. Guilt and stress make pain worse. Acknowledge the pain, understand that this is where you are right now, and focus on how you can be the best parent you can be in this situation. Talk to your kids about it. Ask your child about what's going on in his or her head. Allow your children to express themselves and find a solution together for each situation. For moms of young kids, parenting isn't always a piece of cake. "I've dealt with RA since I was 18 months old, so really I do not know what it's like to not have it. I have my really good days and then I have awful days," shares Amanda Nethero of Florida. "It's hard to explain to my kids why I don't feel well and why I hurt, but I try and tell them that sometimes Mommy's bones and joints need the day off. Living with RA can be hard sometimes, but I always look at my situation and realize it could be so much worse." I think the key to parenting for those who have a disability is learning to draw upon your strengths and compensating for your weaknesses. "I think the key to parenting for those who have a disability is learning to draw upon your strengths and compensating for your weaknesses," offers Kelly Rouba, author of Juvenile Arthritis: The Ultimate Teen Guide (It Happened to Me). "Because the boys are so young (they just turned 3), I almost always make sure someone is around if [my fiancé] isn't home. In the end, I think our bond is very strong. We have such love for each other, and we've learned to help each other." "I was 18 and was diagnosed with adult RA," said Tess DeMarco of Bradenton, Florida. "My body began to deteriorate in my early 40s, but my family helped me. Children are very resilient and when they see you hurting, they really know what to do and what not to do." ^ Parenting is tough enough, but whether you're 25 or 50 years old, understanding that arthritis isn't just for the elderly will help you cope should you find yourself juggling your children and this autoimmune disease. "One of the biggest steps you can take in learning in how to deal with rheumatoid arthritis is to give yourself a break and be flexible," offers Dr. Lombardo. "Focus on what you can do. Focusing on the things you don't have will be self-defeating and make you feel lousy." Instead, take it one day at a time and know that your kids love you regardless of whether it's a good day or a bad day when you're living with RA.